The chief minister was speaking at his camp office in Amaravati with members of the Parliamentary Standing Committee on Water Resources, who were on a tour of the state. 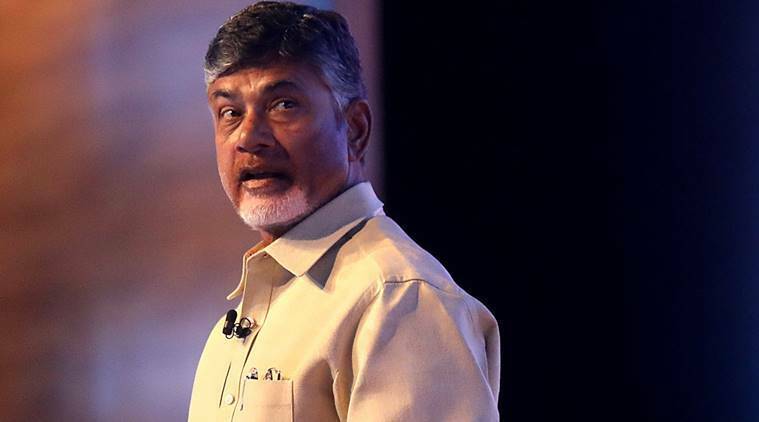 Andhra Pradesh Chief Minister Chandrababu Naidu on Friday stressed on the need for interlinking of rivers in the country to prevent inter-state disputes over water. Noting that water was an issue of national concern, he said interlinking of rivers will help in better management of resources. The chief minister was speaking at his camp office in Amaravati with members of the Parliamentary Standing Committee on Water Resources, who were on a tour of the state. “Water is an issue of national concern. All rivers in the north and the south need to be connected. Water disputes between states can be prevented and the resources managed in a sustainable way,” a release from his office quoted the CM as telling the visiting delegation. Naidu briefed the committee on the progress of construction works on Polavaram, declared as a national project by the Centre under the AP Reorganisation Act, 2014. The meeting also discussed the Accelerated Irrigation Benefits Programme (AIBP), Participatory Irrigation Management (PIM), Command Area Development and Water Management (CAD&WM), rain water harvesting programme and the packaged drinking water industry and its effect in AP, the release said. Committee Chairman Hukum Singh, members Siddhant Mohapatra, Apurupa Poddar, V Sathyabama, Ananda Bhaskar Rapolu, Pradeep Tamta, Balwinder Singh Bhunder, A V Singh and Harshvardhan Singh Dungarpur attended the meeting. Officials from the Union Water Resources Ministry, the Central Water Commission and the state government also attended. The panel will visit the Thotapalli reservoir in Vizianagaram tomorrow and inspect the works, the release added.